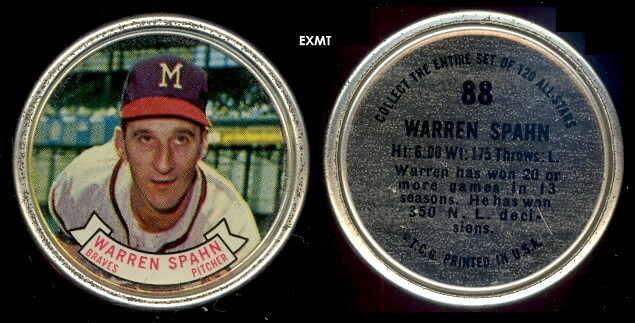 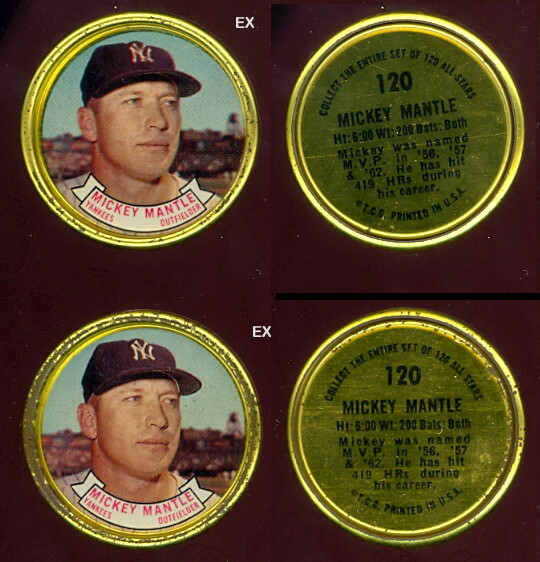 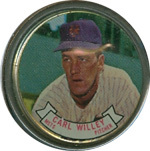 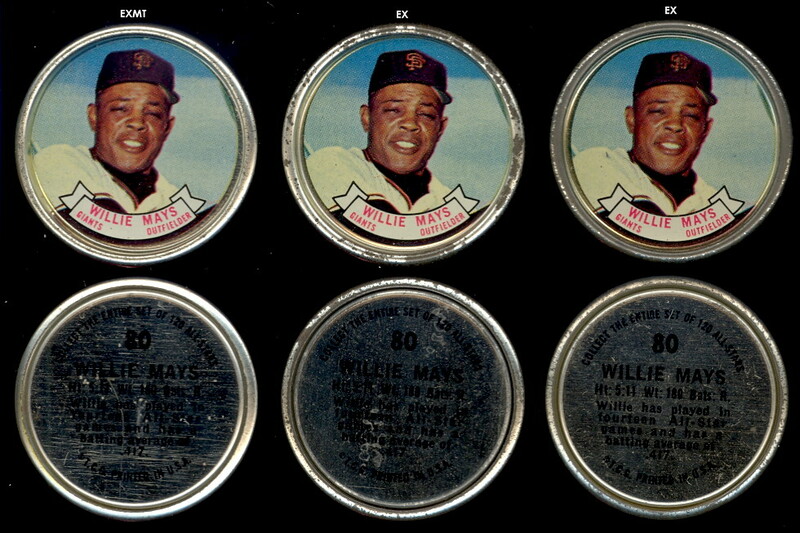 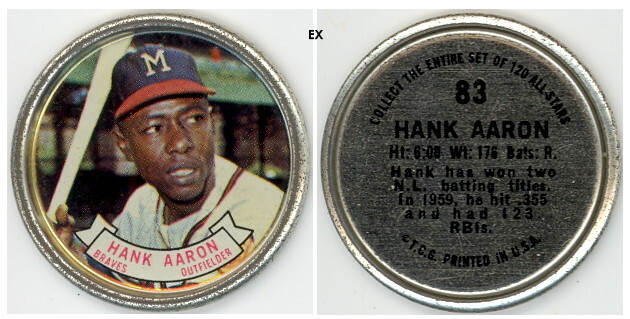 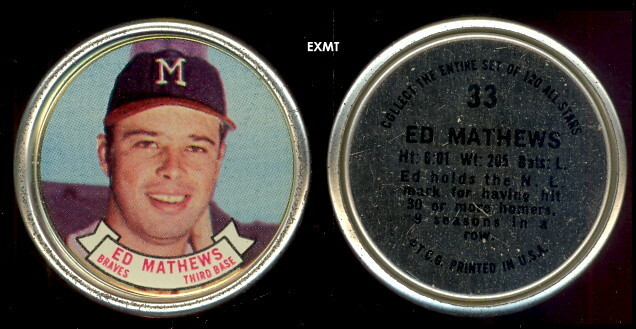 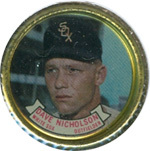 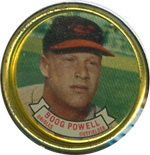 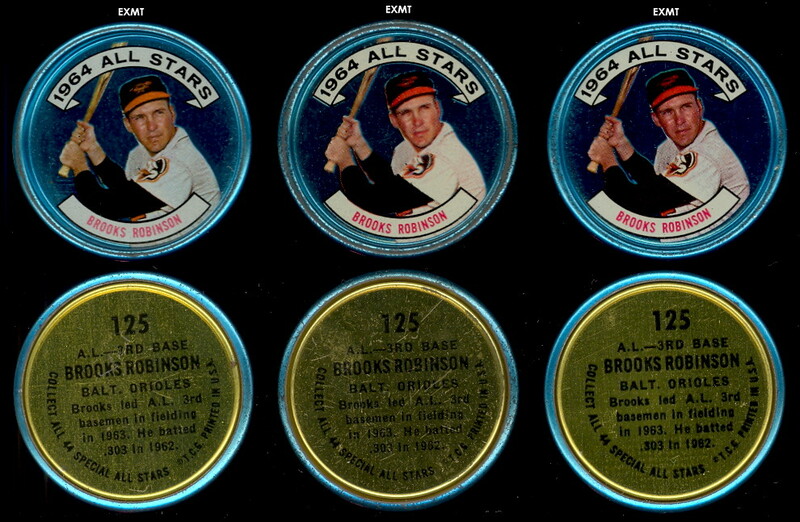 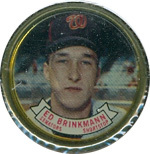 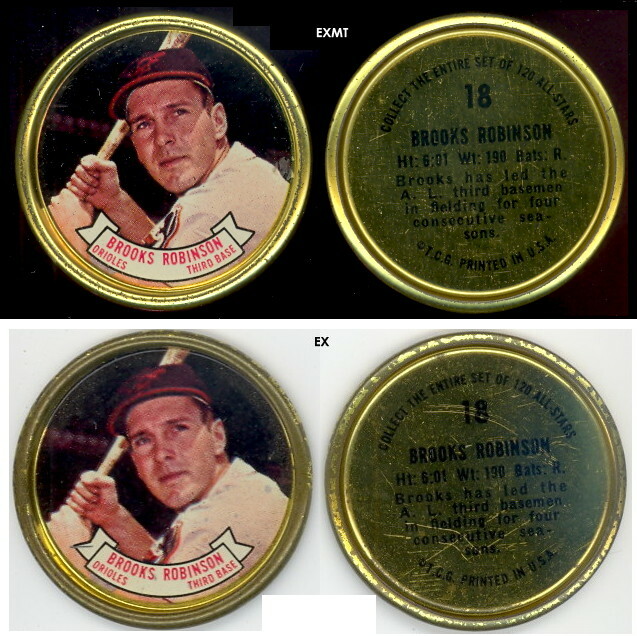 The 164 metal coins in this set were issued by Topps as inserts in the company's baseball card wax packs, The series is divided into two principal types, 120 regular coins and 44 All-Star coins. 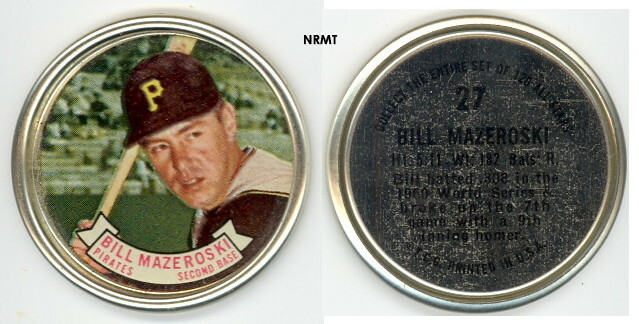 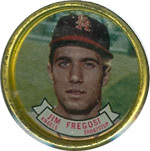 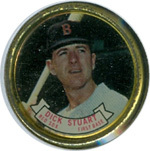 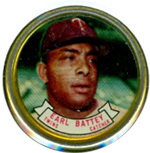 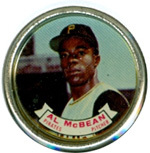 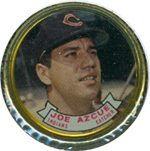 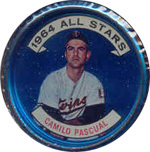 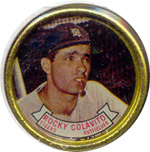 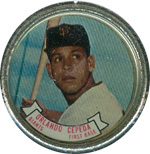 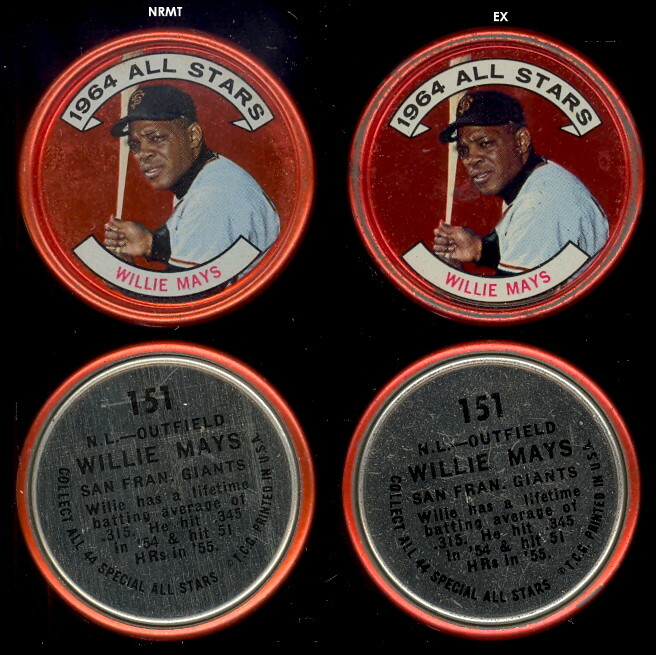 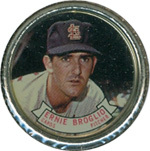 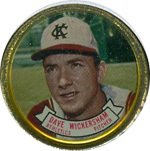 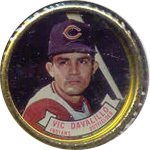 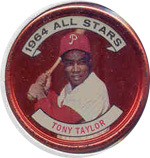 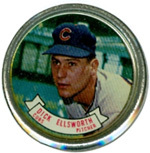 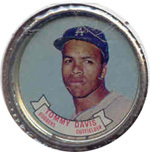 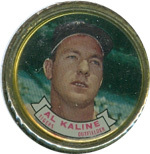 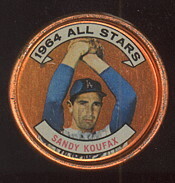 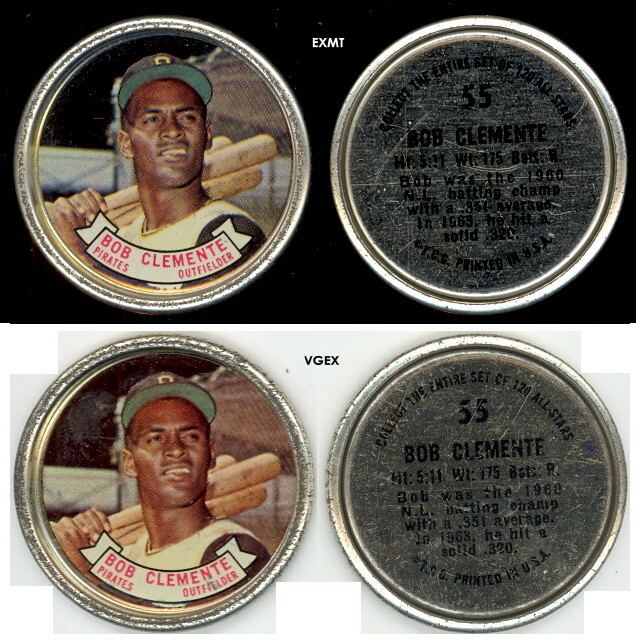 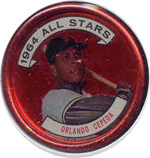 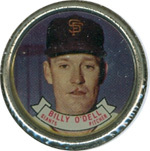 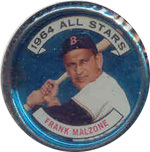 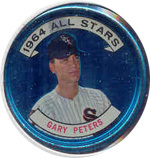 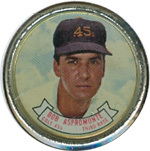 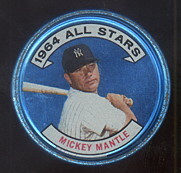 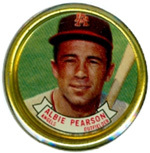 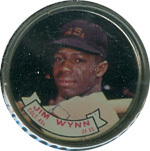 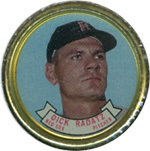 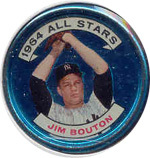 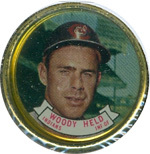 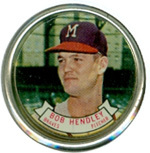 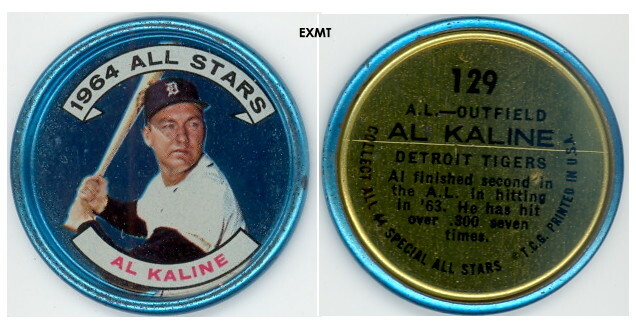 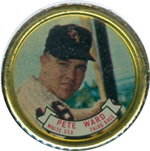 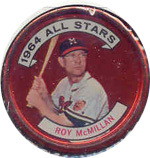 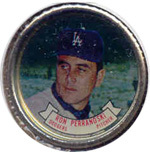 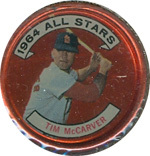 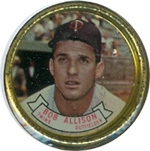 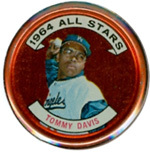 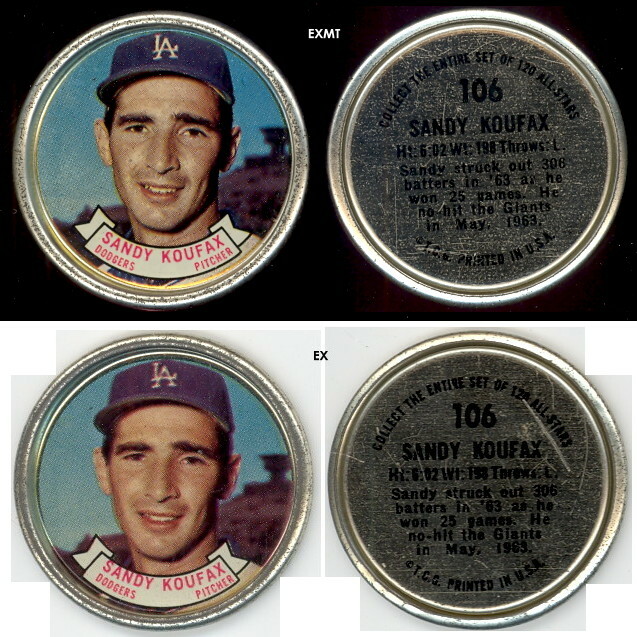 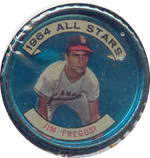 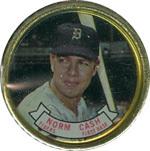 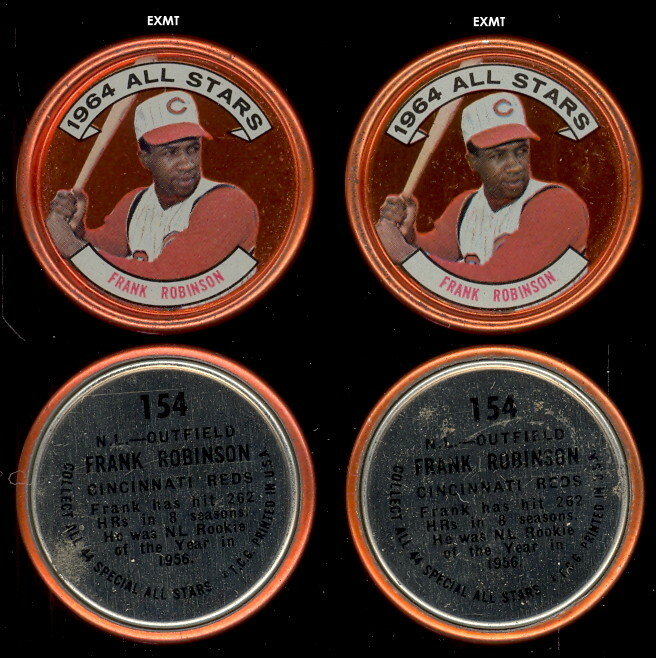 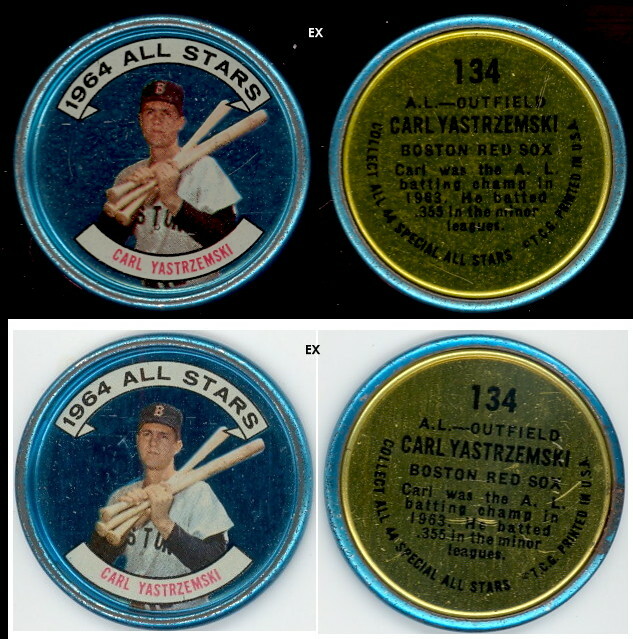 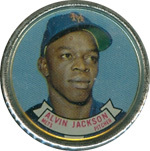 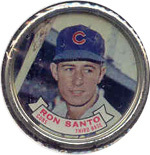 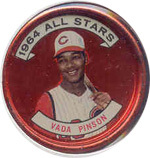 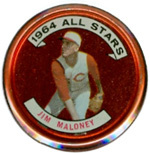 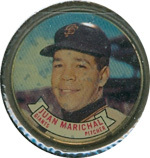 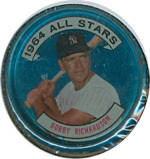 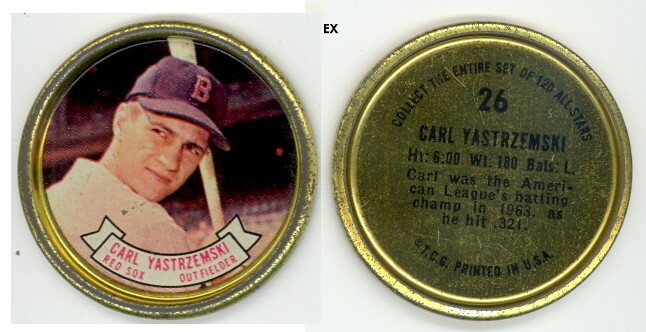 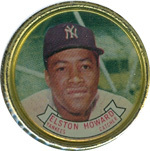 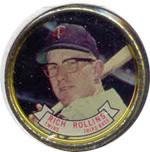 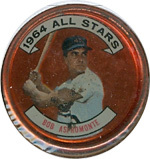 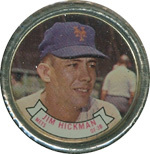 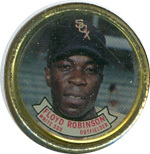 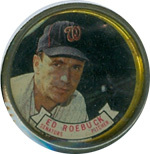 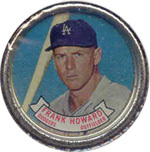 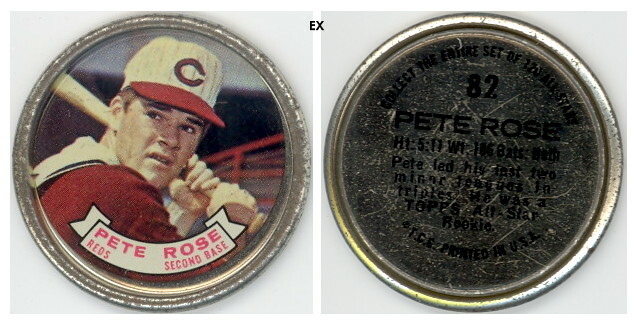 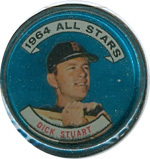 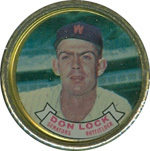 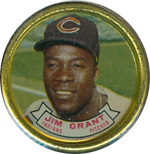 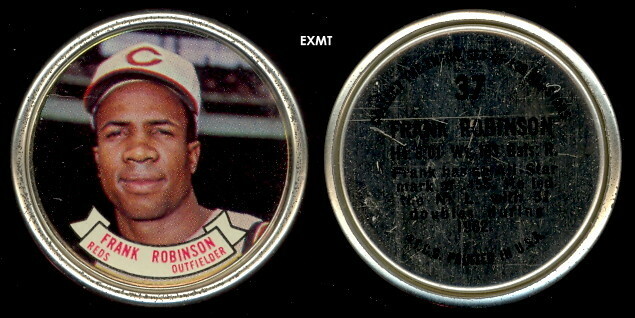 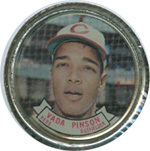 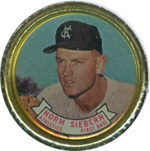 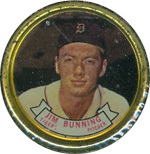 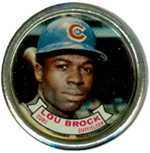 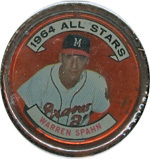 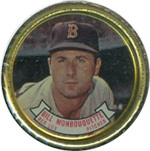 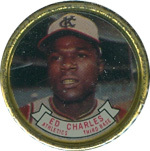 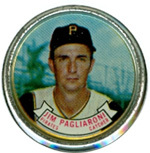 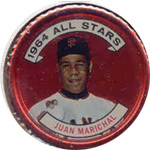 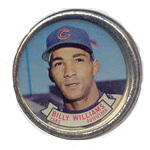 The 1 1/2" diameter coins feature a full-color back- ground for the player photos in the "regular" series, while the players in the All-Star series are featured against plain red or blue backgrounds. 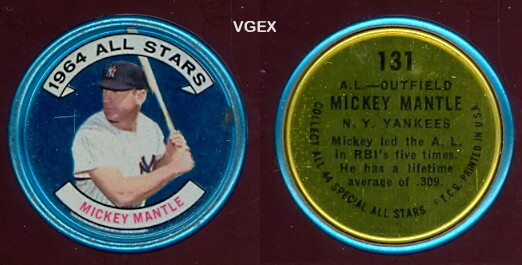 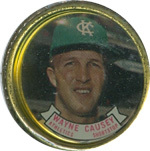 There are two variations each of the Mantle, Causey and Hinton coins among the All-Star subset.